This is the lovely KBShimmer in Diva. I love all of the KBShimmer polishes so it was so hard to make a choice for my first order. I finally decided on Diva because, of course, I love purple - and also, it has some pretty awesome holographic glitter. This is probably the most colorful glitter polish I own. I wore it all day today and the shimmer kept catching my eye. I layered Diva over OPI A Grape Fit because I wanted an opaque base, but I'm not sure if I really needed it. I may try it on its own next or possibly over a white or black. There is so much glitter packed in this bottle that it's pretty bumpy on the nail - but I don't mind. You can purchase this and other beautiful polishes at www.KBShimmer.com. She also has a Facebook page where she interacts with fans of her polish as well as posts pictures of her new collections. She just came out with a Fall Collection that looks beautiful. I purchased "Watercolor" too and can't wait to try it! Ooh lala! This would be catching my eye all day too!! I love the holographic glitter! oh my. I need this! You do - you won't be disappointed. I need KBS Shimmer in my life... I really do! This is gorg... and I don't care how many times I see the swatchin' sweather, I still love it. It is - you would love it! Check it out... My typing is so terrible since autocorrect, it chaps my hide, lol. LOL:) At least that sweater is good for something in the summer! OMG! I ordered Elle and Showgirl because I needed to limit myself to two but this was the runner-up....I'm going to have to get it eventually, it is amazing!! I know - I only got 2 as well and it was such a hard decision. I ALMOST got Elle instead of this one. I still want Elle because I have loved the swatches I have seen. I'm addicted! OH EM GEE this is absolutely gorgeous!! 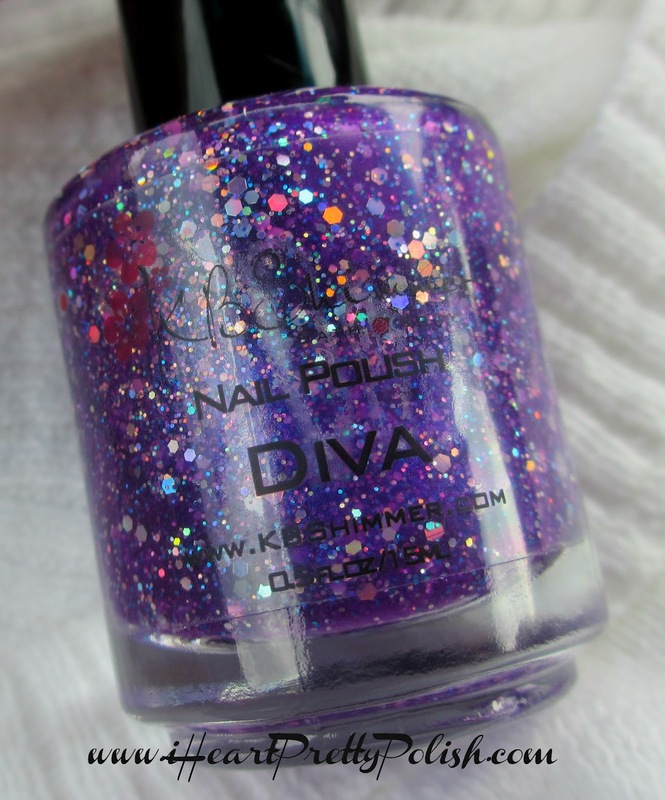 I haven't tried any KB Shimmer polishes yet as none have really struck my fancy but I need this one! Love love love it! Wow, this is stunning looking! I love this! Yes, KBShimmer has some great polishes! I need that color in my life! It is amazing! Oh my!! This is sooo pretty!! This is so gorgeous! Must add this to my wishlist. I'm really loving that color- so beautiful! I need to get more sparkly polishes. oh my! 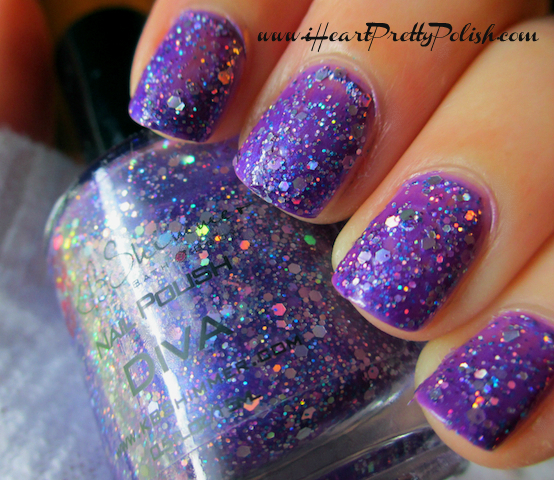 that nail polish is amazing!!!! I need to get my hand on some of this polish! I love it!